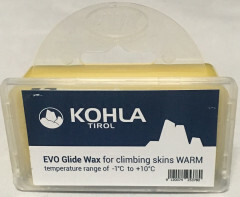 The folks at Kohla are smart and figured out that the easiest way to make your speedy climbing skins faster is to hot wax them. 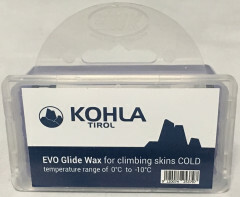 You do it for your skis, it’d only make sense to put it on your skins as well. 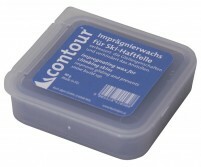 Seeing as 90% of your time is spent skinning, they spent 90% of their time making a special wax formula just for that. 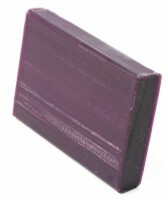 The purple Evo wax is a low-fluoro concoction that is optimized for firmer crystals found in cold temperatures. 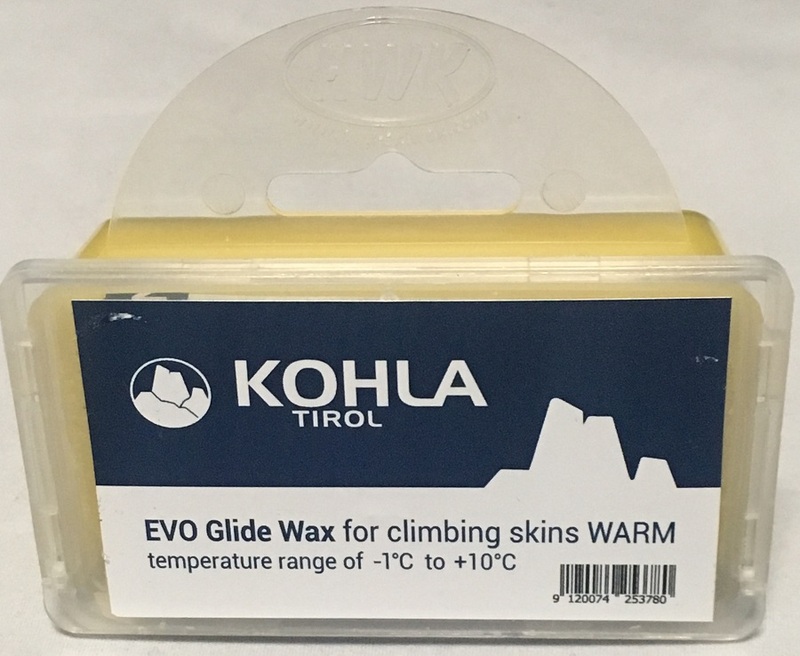 The yellow Evo wax is extra fluorinated for incredible glide and waterproofness in warmer temps.  Preference was given to performance over price, and it’s noticeable. 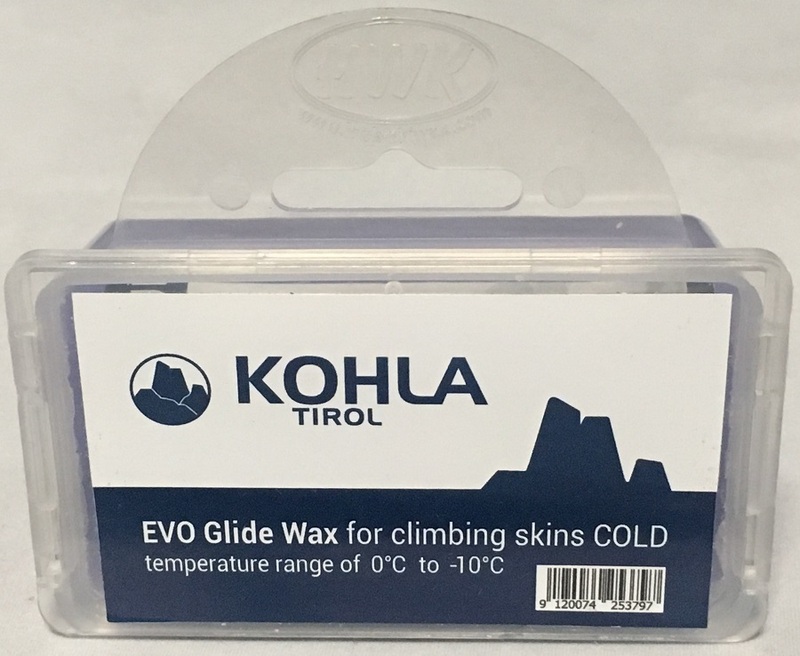 The wide temperature range built into either 60g bar of Kohla Evo skin wax will keep you happy on those long, variable days.